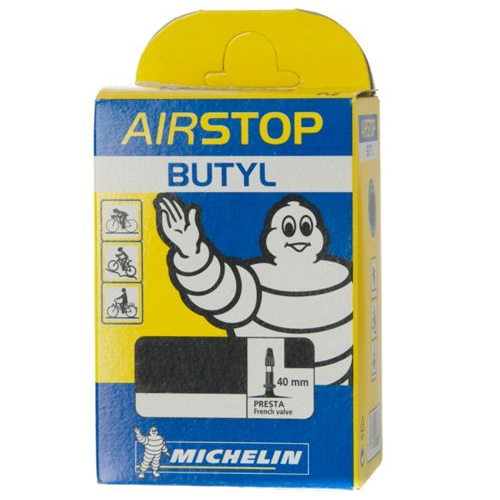 Michelin Airstop, the famous Michelin Butyl inner tube. Nice quality. No leakeage after two weeks. Good value for a tube. Seems very durable. Hold air well and fitted OK so not much else to ask for in a tube. Quality rubber and holds air well. This product has exceptional resistance to punctures,. These tubes are a bit heavier than normal but for a commute bike they are great. Merlin as always provide a great service.